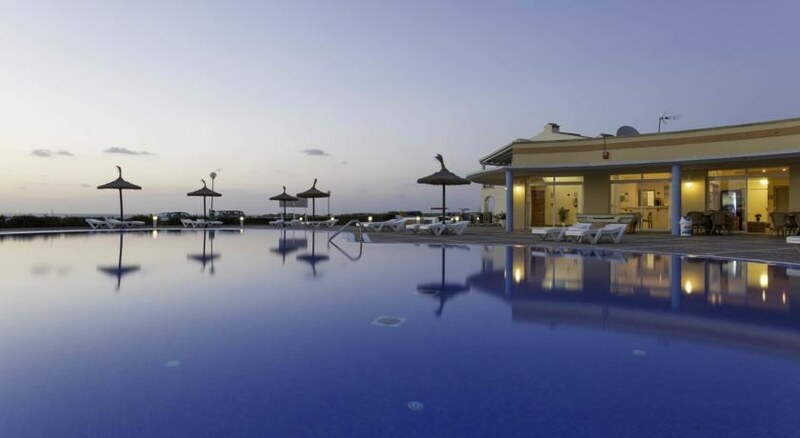 The Menorca Sea Club at the Ciutadella de Menorca features self-contained accommodation units that are great for groups and families. 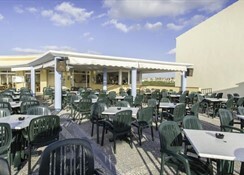 The aparthotel stands almost on the beach and guests will be excited to find sea water at a walking distance. Nestled among lovely gardens on the north coast of the Balearic Islands, the apartments offer cosy accommodation. A colourful, lively reception area welcomes you to the hotel. Each room has beds, sofa beds, a kitchenette and a refrigerator. A television with satellite channels would entertain you when you are indoors. 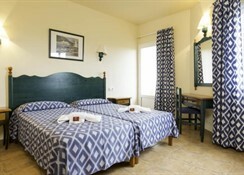 The rooms are air-conditioned to offer a comfortable stay. There are three outdoor swimming pools with sun beds around them. Guests in groups may enjoy playing water sports in the pools. 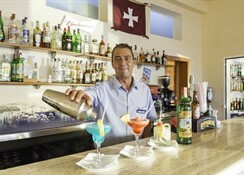 Or you may get yourself a drink or two from the poolside bar and unwind on a sunbed. There is also a bar/lounge to serve you indoors. 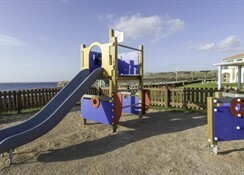 An outdoor children’s playing area is great for keeping your kids busy. 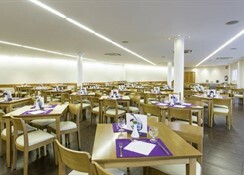 The restaurant of the aparthotel specialises in international cuisines and offers buffet style meals. 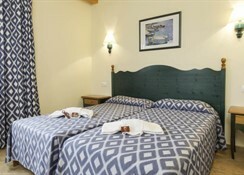 Guests may explore places of interests such as centre of Cala'n Forcat or Ciutadella de Menorca in the vicinity. A last minute family trip to this hotel . We travelled her ti have a long weekend together. It wasa good price and had some good reviews. We were given 4 rooms very close together. The check in was very slow even though it was midnight! The food was ok not very hot as usual these days for all inclusive. The food at the pool bar kept running out if fries then cobs for burgers ! It was getting towards the end of season but still should not happen. The entertainers worked hard doing many daytime activities. The pool main pool was quite small and full and it was very cold. The childrens pool was good but too cold as the sun hardly hit the water in the winter. The resteraunt was well organised and very busy. The food was ok and most meals you could find something to eat. The rooms were nice and well cleaned. Not enough english tv channels as usual in spanish hotels. The wifi worked ok around reception . Our 4G worked well anyway. This hotel is located up quite a big hill for anyone with walking issues fortunately my wifr had a battery scooter. I think this horel is good value 3 star hotel. But try not to run out of food in the bar !